IF THIS IS NOT WHAT YOU’RE LOOKING FOR WE’LL MAKE ONE FOR YOU JUST ASK! 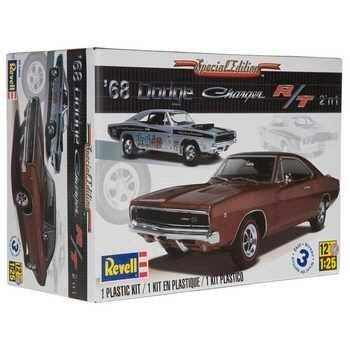 Build 1 of 2 plastic models with 1968 Dodge Charger 2 ‘n 1 Model Kit. It includes optional complete 440 cubic inch of 426 HEMI V8 engines, plus a separate engine stand. It also features a detailed interior and chassis to build either a stock muscle car or vintage drag racer. Authentic factory stock detailing decals and competition graphics make this kit perfect for your collection of model cars and trucks! Recommended for ages 12 and older. Glue and paint are required (not included).